How do you weigh up photographers and how do you choose one to capture your special day? Photographic ability is of course vital, however, this alone sets no one apart. Beautiful images are one thing but the whole experience is what you are paying for, which appears to be often overlooked. Having seen both sides of this industry, I have realised that the emotions that are attached with the photos are strongly based on the feelings that were felt on the day of the photo shoot. Tiffs offers this special experience which I have termed the “Tiffany Experience”. This experience includes her kind heart, her attention to detail and her wonderful personality. And a little trademark Tiffs Craziness, it makes for some great photos and a really fun experience. She'll probably also climb on up somewhere high to get 'the shot'. I always stress that she'll drop something, like oh, a lens! But she hasn't. Yet. Totally agree. The shoot itself has to be fun and meaningful, so that when one looks back at the photos-you remember the shoot itself. All the feelings that went with it. 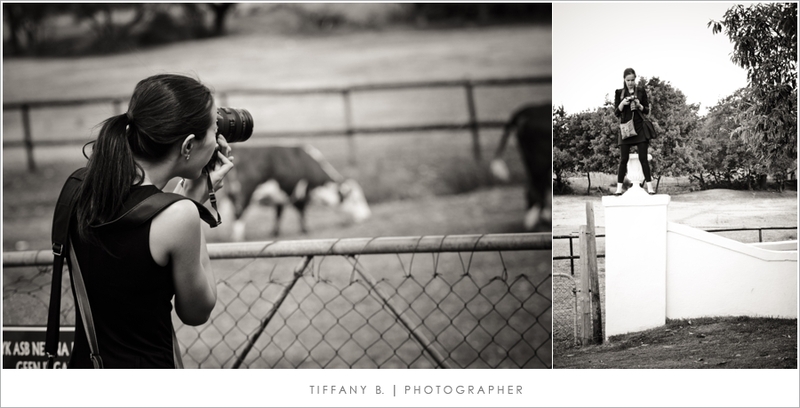 That is why we totally enjoyed our shoot with Tiffs-she is a great person and her hubby wasn't too bad either (hee hee).